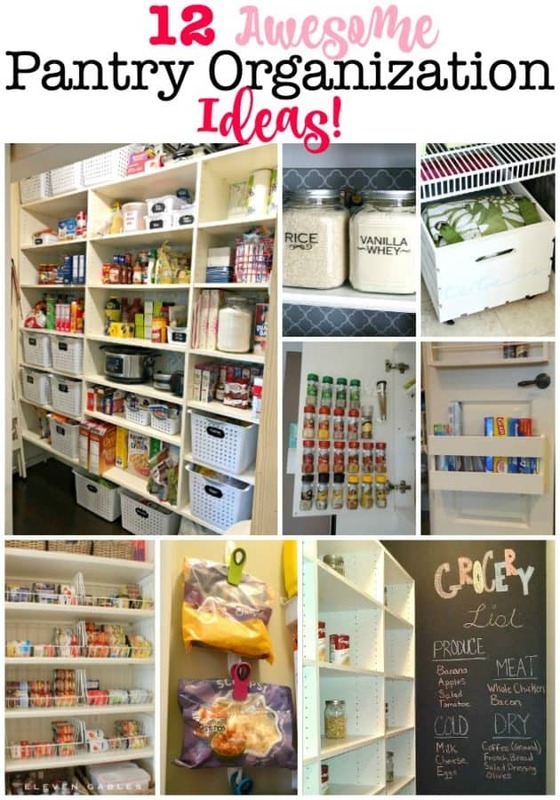 Those beautifully organized pantries that you see on Pinterest and on those HGTV shows aren't just lovely to look at- they make finding what you need a dream! 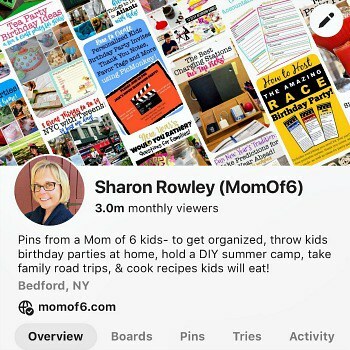 Spending a little time to get organized in the kitchen helps you to create meals around ingredients you have on hand, use food items before they expire, and avoid buying duplicates of things you already own! 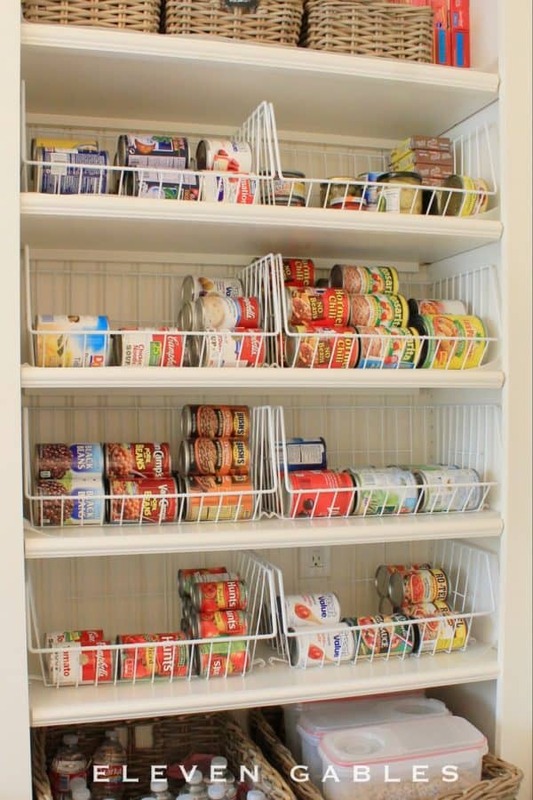 Here are 12 fantastic pantry organization ideas to inspire you! 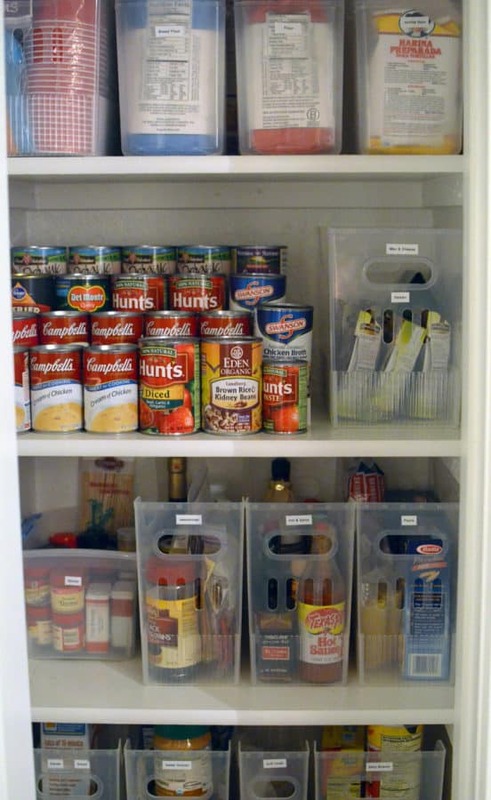 12 Awesome Pantry Organization Ideas! 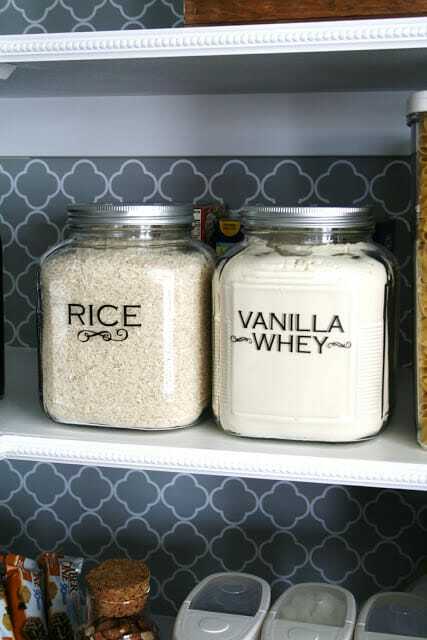 Each section of the pantry should have a purpose. I've set up my pantry so that my shelves are dedicated to specific types of items- soups, pasta and sauce, crackers, beverages, condiments, etc. 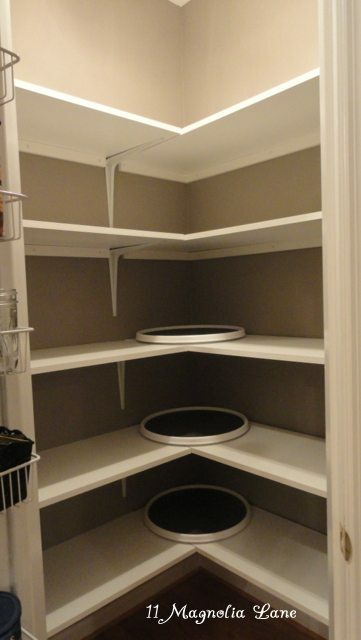 I love to use these Sterilite bins to organize my pantry shelves. 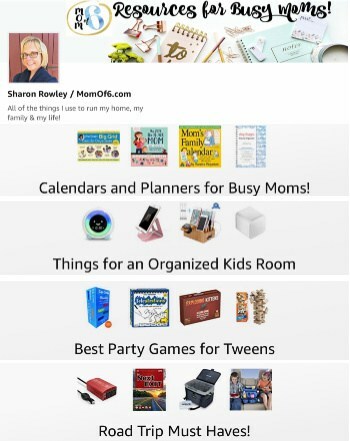 They help me to pack more into a smaller space, plus it makes it super easy for the kids to find the snack they want because they can just pull out the whole bin and see what's inside. I use smaller bins to corral small boxes of mixes together. Again- it is so nice to be able to pull out a bin and see everything I own rather than digging through the back of the shelves! 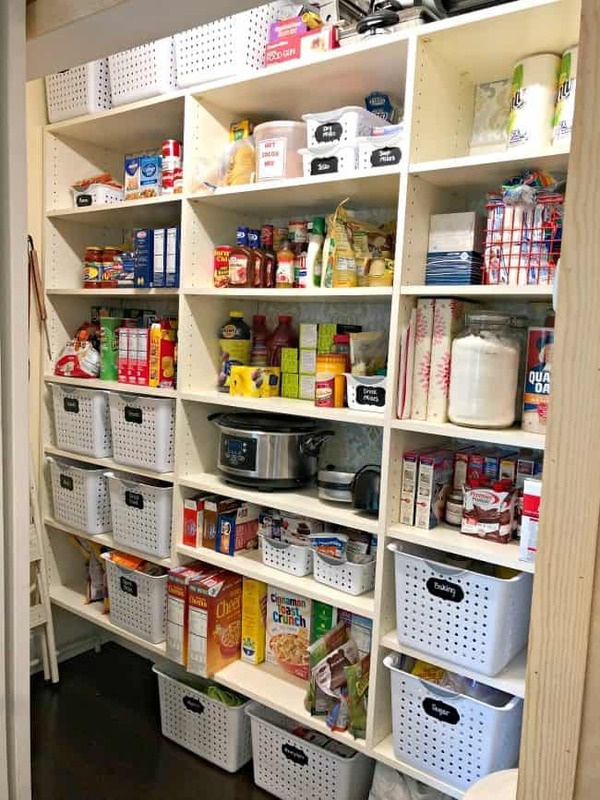 You can see our recent pantry makeover here! 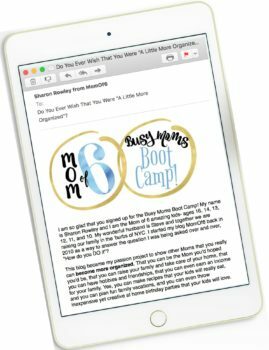 Clear filing bins like the ones used by Stacy + Charlie are a great way to keep similar items together and see what's inside of the bin! 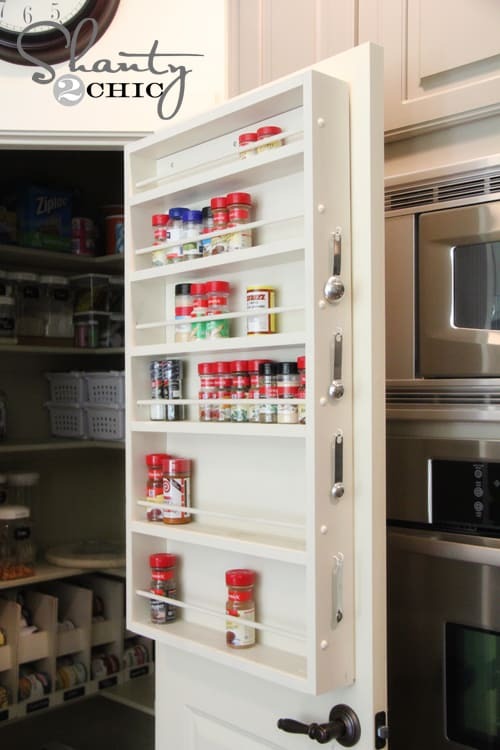 No matter how deep or shallow your pantry is- there's always some space available on the side walls that you can put to good use. 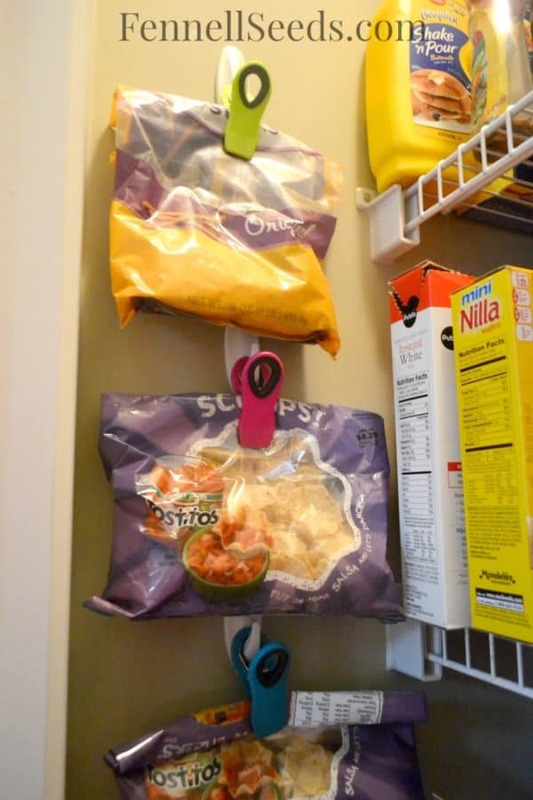 I love this idea from Fennel Seeds to use command hooks on her side wall, and hang chip clips over them to hold opened chip bags! 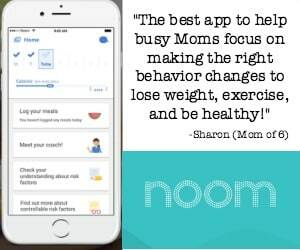 This is one idea I am going to put into place right away! Traci from Beneath My Heart added metal baskets to the inside wall to hold microwave popcorn packages, oatmeal packs, and drink mixes. 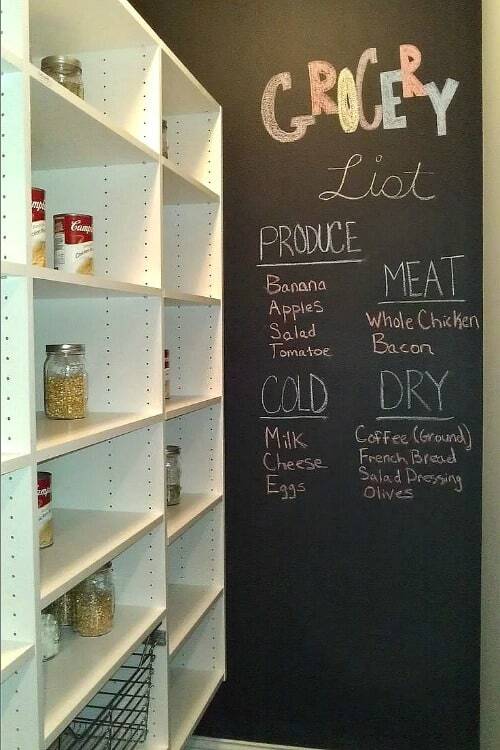 I love this idea of painting the side wall with chalkboard paint and using it as a place to keep a running grocery list! 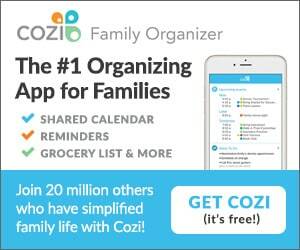 Simply snap a photo to use the shopping list at the store- erase and begin again! 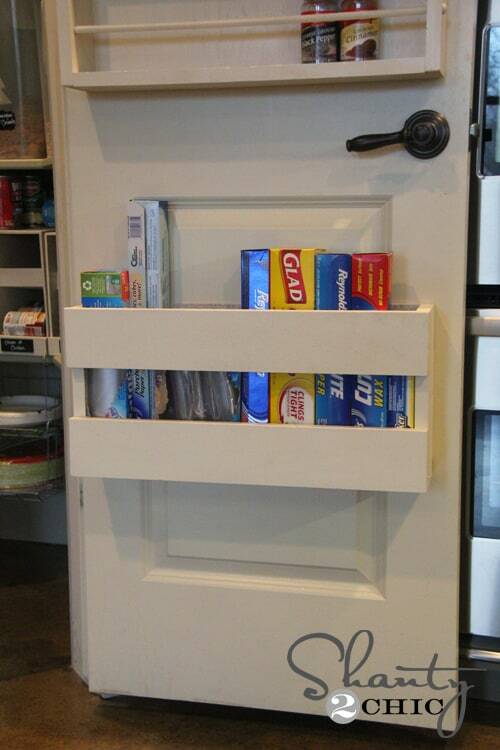 Maximize the Back of the Door! This is a beautiful DIY spice rack created by Shabby2Chic! 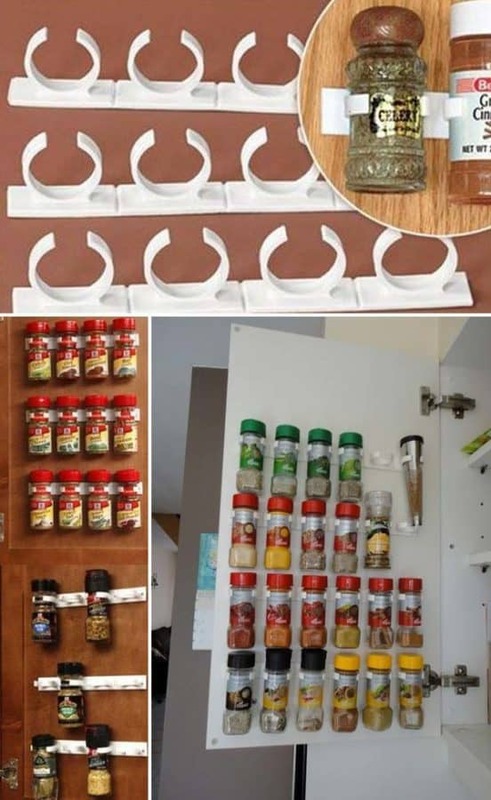 Here's a similar back of door wood spice rack you can purchase! I also love this DIY foil and wrap rack that mounts on the door from Shabby2Chic! And Don't Forget the Floor! 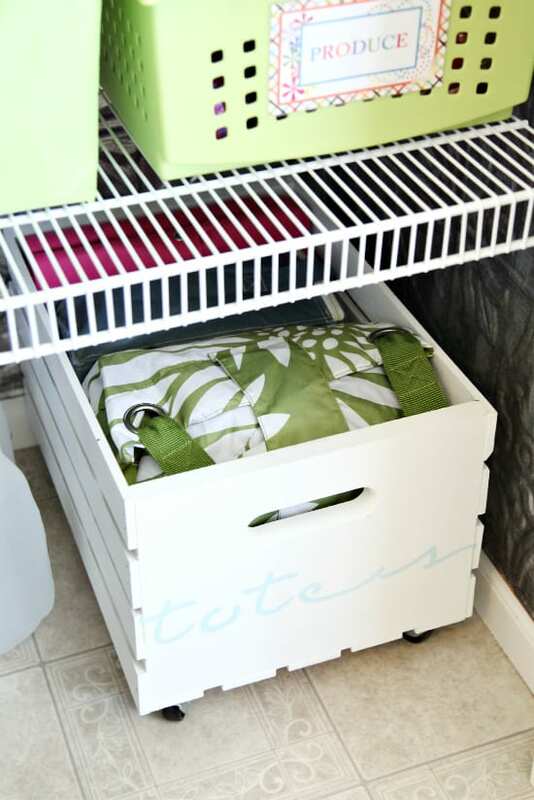 Jen from I Heart Organizing built these rolling storage crates from a basic wooden crate. 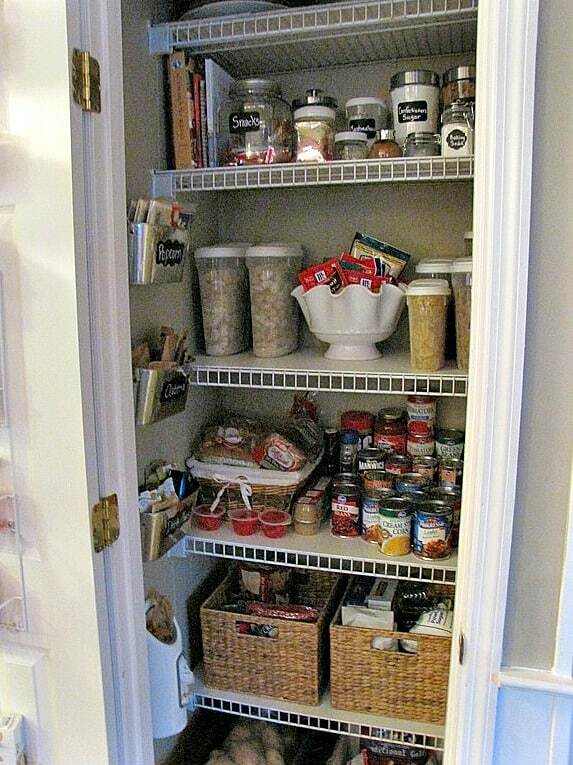 It helps to use every last inch of space in the pantry!